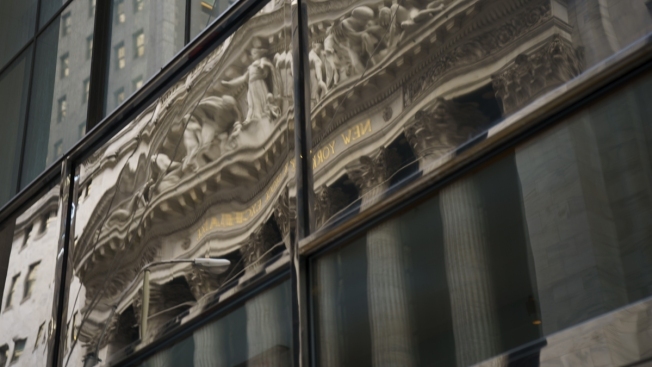 In this Feb. 2, 2018, file photo, the New York Stock Exchange is reflected in a window in New York City. 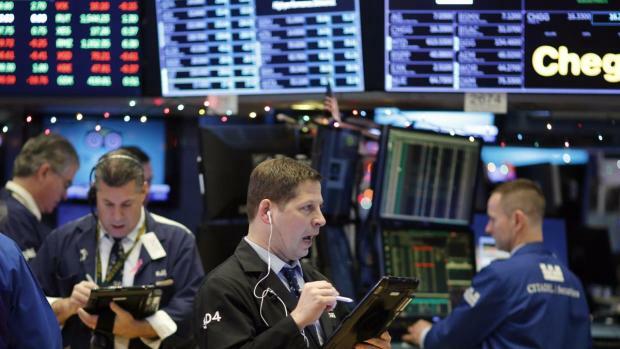 The Dow dropped more than 300 points at the open on Monday morning. Stocks closed lower on Wednesday after trading in a wide range again as interest rates climbed back toward multi-year highs, CNBC reported. The S&P 500 pulled back 0.5 percent to 2,681.66 after rising as much as 1.2 percent, logging its biggest one-day reversal since February 2016. The Dow Jones industrial average closed 19.42 points lower at 24,893.35, notching its biggest reversal since August 2015. The index rose as much as 381 points and fell as much as 127 points. Stocks had sold off sharply in the last five days on fears over a coming rise in interest rates, obscure volatility-tracking funds and computer-driven trading.